We got a chance to gets some hands on time with the new Dell products yesterday. 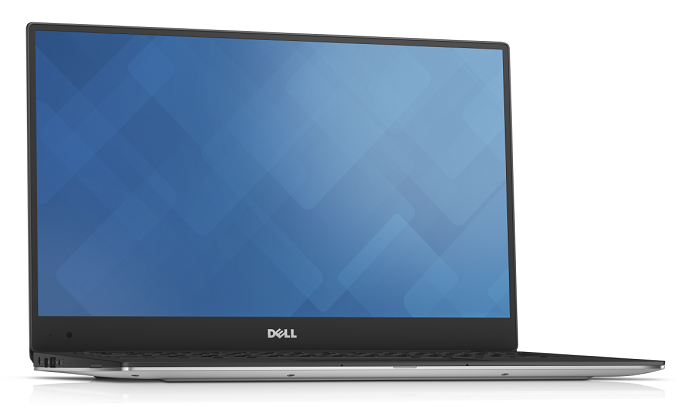 Likely the biggest announcement was the Dell XPS 13, with what Dell is calling an Infinity Display. The Dell Venue 8 7000 tablet also has the Infinity Display. It was a great looking piece. Also on display was the Alienware products, with the top of the line Area 51 showing prominently. 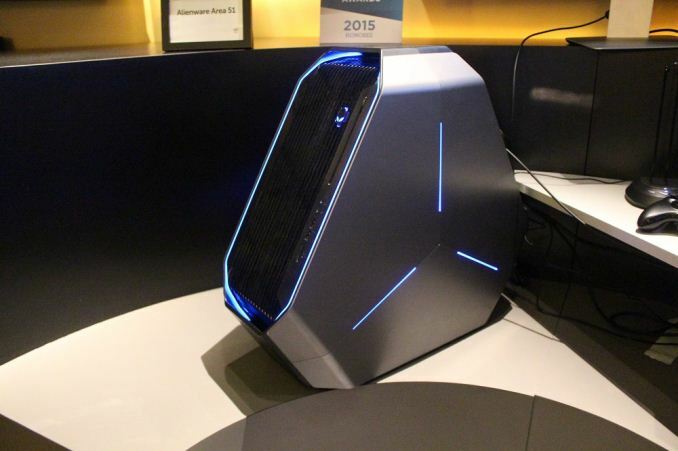 The Alienware 13 was also on display, with the external graphics amplifier. New to the lineup is the slimmed down versions of the Alienware 15 and 17, both of which also support the external graphics amplifier. The Area 51 is Alienware’s top gaming desktop, available with X99 based CPUs and multiple graphics cards. It was announced a couple of months ago, and the first thing anyone will notice is the distinct shape and styling of the case. The internals are mounted on an angle, which is said to enhance cooling. Next we got to check out the laptops from Alienware. The 13 was previously announced but the new models are the 15 and 17, both of which share styling with the 13. They are much thinner than their predecessors. As seems to be the case with Alienware, almost everything has backlights including the trackpads. It is an interesting effect, and is fully customizable and owners can set the lighting to whatever color they like, or disable it if they prefer. On top of this, if someone wants more graphics power than their internal GPU can handle, the graphics amplifier allows pretty much any graphics card to be leveraged to power either the internal display or external monitor if you want more of a dock experience. 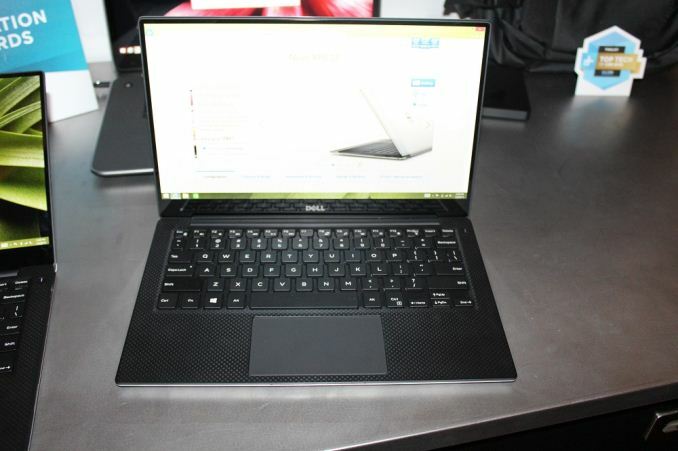 To me the most exciting thing from Dell was the new XPS 13. Dell basically managed to fit a 13” display into an 11” chassis, and the result is a super thin bezel which Dell calls Infinity Display. It was striking to look at, and according to Dell’s representative the display is IGZO, which should mean that it has the standard RGB stripe. 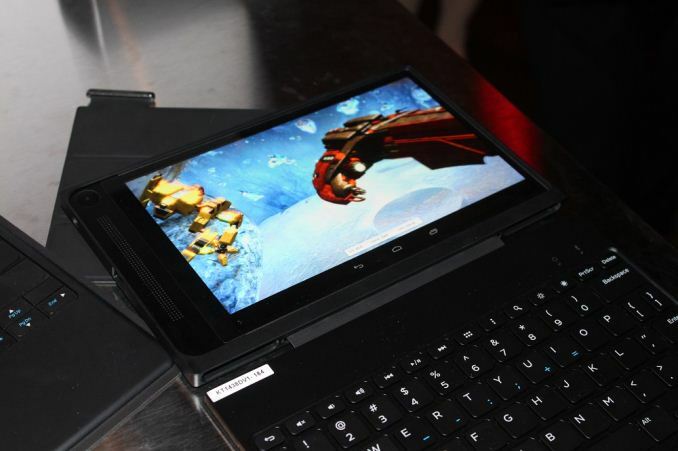 Broadwell is the name of the game this CES, and the XPS 13 is powered by the new Intel CPU. Also on display was the updated XPS 15, which is now sporting a 4K display. Also on the show floor was a couple of tablets from Dell. 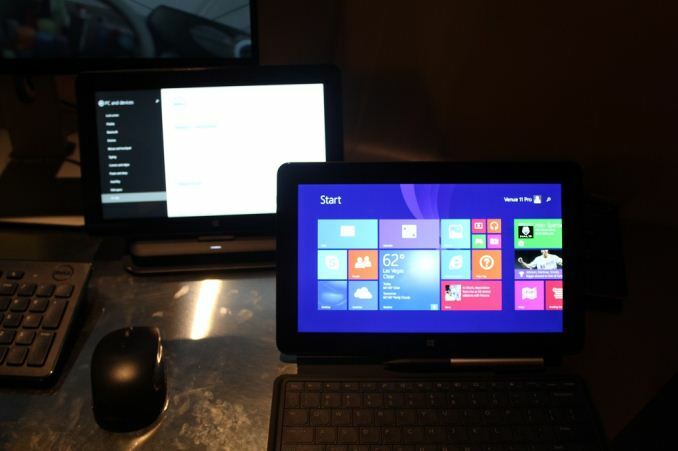 Dell’s Venue line is divided between Windows and Android with the “Pro” name. Dell’s recently launched Venue 11 Pro was available to see, and this 11” tablet is offered with either Atom or Core-M processors. The Venue 8 7000 tablet was a striking to see in the dark room, with its 2560x1600 OLED display packing quite a punch and having the incredible blacks that OLED is known for. It is Intel powered, and performance was quite good. This will be Bay Trail of course, with Cherry Trail just now shipping to OEMs. Dell has some great new products coming out, and I love to see how coordinated the styling is getting among the manufacturers. We look forward to getting some of these in for review to dig into them some more. The XPS13 is available now in 1920x1080 and 3200x1800 models. The 1080p models get 3 hours longer runtime; but at 12 vs 15h I suspect for most users it will come down to how much they're willing to spend not how long they need their battery to last for. It also comes down to how intensively you use non-DPI-aware desktop programs. Agreed. Until the scaling situation improves in Windows, I personally cannot consider these otherwise beautiful, high-DPI displays. Right now, 1080p at 13.3 inches is just barely "useable" for applications that don't scale. I can manage it, but it is eye-strain inducing due to ridiculously tiny fonts at that resolution and screen size. The typical problem is that Windows menu bars scale, but the main text elements in the application remain absolutely tiny. I would need a magnifying glass on a "4k" display! "The internals are mounted on an angle, which is said to enhance cooling." I think the idea is that since the rear exhaust area is angled upwards it can't be butted up against a wall. This will allow the warm exhaust air a better path to escape the area of the computer. Granted that only helps if you have your computer pushed up against a wall but I do think that's a pretty common scenario.